This is a huge coup for 92Y Tribeca, in case you don’t recall, the last time The Swell Season were here, they played the slightly larger Radio City Music Hall. You can watch a live performance of 6 new songs from Strict Joy (performed for NPR’s Tiny Desk Concert Series) over here. Tickets for the 92Y Tribeca show go on sale tomorrow (Sep 3). 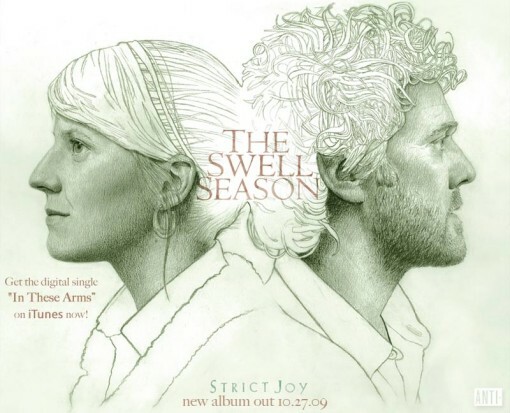 The full set of dates for The Swell Season upcoming North American fall tour will be announced on Tuesday, September 8, 2009. Presales for most shows will take place from September 9 – September 10, 2009. General on sale for most shows will begin on Friday, September 11. View the current Swell Season tour dates after the jump.